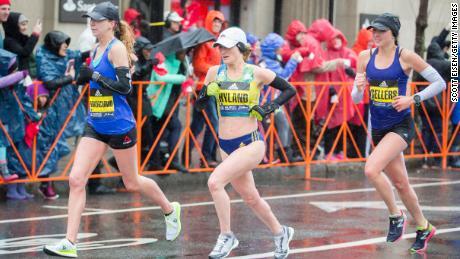 Fionnuala McCormack ran a personal best at the Boston Marathon and only just missed out on qualification for Tokyo 2020 - barely six months after having a baby. Kenyans Kenneth Kipkemoi (2:08:07), Felix Kandie (2:08:54) and Geoffrey Kirui (2:08:55) rounded out the top five in the men's elite race. But it's still a competition, and a little late-race drama among elite athletes certainly doesn't hurt the viewing experience.